This entry was posted on October 4, 2013 at 3:58 pm and is filed under CYCLING PROMOTION. You can follow any responses to this entry through the RSS 2.0 feed. You can leave a response, or trackback from your own site. What a superb post. I started cycling seriously again about 5 years ago after 10 silly years driving a car. All the usual benefits apply – money saving, fitter, see more of the world. But also the experience has altered my worldview. Partly I think because of the experience of being an outgroup member, not something I’d had before. Empathy is good, but easier on the back of experience, and my politics have certainly shifted. My only experience riding in the UK was a 1986 trip from Great Yarmouth to Cambridge U and back as part of a trip I took for a job interview at a university in Amsterdam, and a geochemical conference at Cambridge. I rode on roads ranging from A roads to little lanes, and it was all wonderful. As a Yank used to a country that is a relatively recent addition to the Western world, I was often awestruck riding through places like Cambridge and Bury St. Edmunds, looking at cities that existed long before the Mayflower set sail. Ooh, now then Dave! Normally I have only great things to say about your posts and while I read this one in my usual state of unalloyed envy, I am concerned that, by not adding your radical worldview to the ‘suits” instrumentalising, reducing and bureaucratising, you have deprived the debate of a sanity-check. Not sure I approve of that. Do you happen to know of the composition of the Stakeholder Forum? Is there scope for the position to be gifted to someone (perhaps closer to London) with similar views? Thanks Jonathan. I suppose in an ideal world I’d quite like to be the kind of person who can calmly and compassionately contribute my ‘radical world-view’ to a productive discussion: sometimes I think I can, but sometimes I just seem to lack the stomach for it. I’m not proud of that, and perhaps it’s something I should aspire and aim to become better at, but I also have some small degree of trust in ‘who I am’, and tend to use my ‘gut-feeling’ to guide my future action – which, at least for now, is away from rather than towards such policy-oriented discussions. For sure there are (somewhat mobile, somewhat permeable) boundaries around ‘policy’ and ‘politics’, and these are emotionally-felt, certainly by me (to some extent I’m happier, always have been, ‘on the outside’ than ‘the inside’). I’m not sure there were any clear criteria to how the Stakeholder Forum was initially assembled; I suspect it was a rather arbitrary/accidental process. I also know that I am not the lone voice of disgruntlement; and that the people on the Forum who probably hold views closest to my own also feel alienated from and by the process. I’m sure sociologists of institutional spaces and decision-making processes would find nothing new in all of this (and that people most invested in a particular issue also always become most easily and quickly disenchanted when the issue gets greater ‘governmental hearing’). Thanks for your concern – I’m very glad you voice it. Nice ride. Long for me, but piece of cake for you young fellows. I think you might be underestimating the new trends. For example, a new cyclepath just opened up near me. Admittedly there are walkers on it, most of whom have no idea how to share a path. And roundly condemn cyclists who don’t have bells. So there are conflicts for sure. But there are lot of people on that cycle path. Nobody riding fast, and I prefer to ride the road, but lots of people. People who normally, as you describe well, are simply afraid of traffic, of cars, of people driving cars. Agreed, cycling is gaining popularity as a leisure practice. But can’t it do more than that, and shouldn’t we aim for it to do more than that? Couldn’t it help reconfigure the very contours of ‘the everyday’, and of the everyday’s geography? Couldn’t/shouldn’t it contribute to a new politics, ethics and aesthetics of life? Are you suggesting that might be happening through people riding leisurely along new cycle-paths? Is such riding potentially more transformatory than I imagine? I accept it might be, but then I’d like to see people discussing it, conceptualising it and theorising it in those kinds of ways, as part of a political praxis. 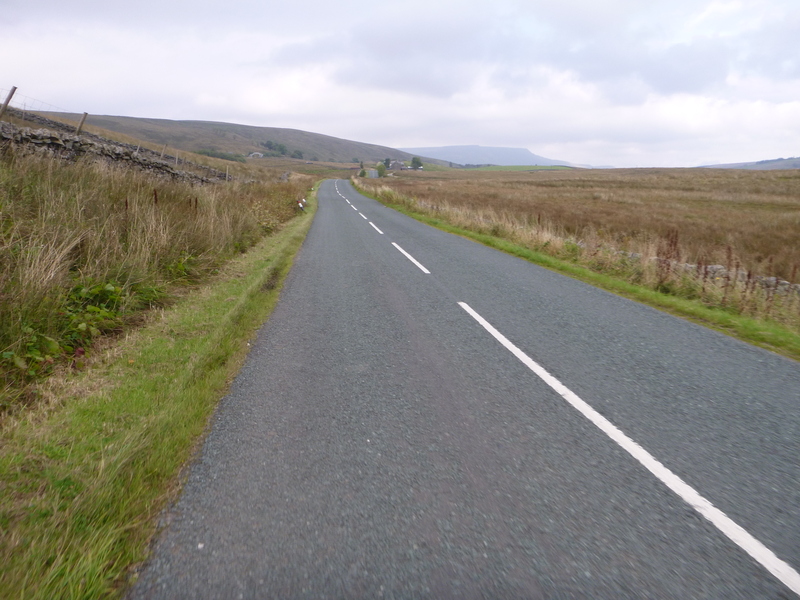 You like me appear to enjoy cycling around the Dales! 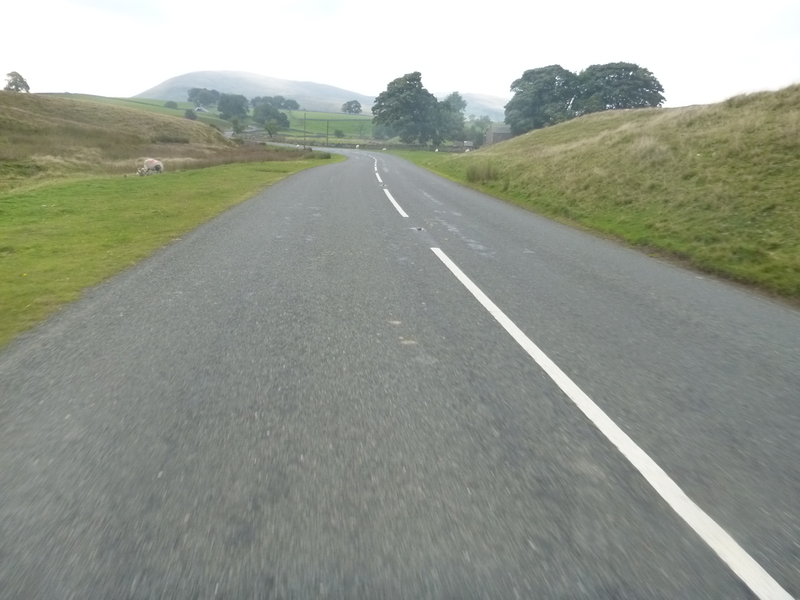 I’m originally from Blackpool and one of our trips out used to be Blackpool to Ingleton for lunch then Hawes – Dent via Garsdale head with Barbondale – Blackpool (130 miles round trip) finish. Some of these were in the Winter with 4 hours of lights required. A truly magical place and one that I remember some 25 – 30 years on. Mallerstang is another fantastic area, a friend of mine owns Hell Gill cottage with Wild Boar fell opposite. Sadly I drive too much although when I return to the UK next year I plan to get back to some road cycling again. I’ll have to stick to MTB in the mean time. Thanks Howie – that sounds like a great ride from Blackpool (a town to which I’m of course close here, yet must admit I rarely go – except when forced to by the kids! I guess I always head for the hills, rather than south-west across the Fylde); and yes, despite more darkness, the Dales are as magical in winter as at other times of year, I think (how beautiful it is, to see the moon, stars and silhouettes whilst riding through night-time countryside!). I’m spending the autumn in London and cycling everywhere. I must say that I am really quite pleasantly surprised about the experience. Sure it’s massively busy and compared to my usual cycling environment of Lund in Sweden (perhaps the real cycling utopia? ), it’s not quite what it could and should be but it is massively better than it was 12 years ago when I was last riding here regularly. I’ve noticed two things; there are many more bikes around and motorists, in particular professional ones (cabbies and bus drivers) seem to be much better when it comes to them giving bikes more space. I suspect that these two issues are related. 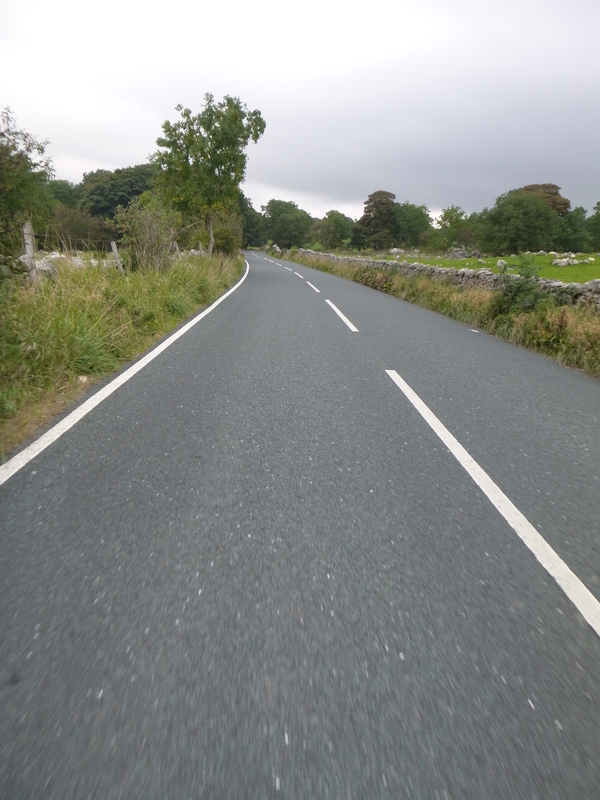 To me it’s positive, in that it shows the “natural” environment can change to open up more space for cyclists when a certain threshold is reached. So that is perhaps a ray of hope for other cities in the UK to get their policies in line to get the base of cyclists up to a safer limit, which will then lead to a safer environment developing. 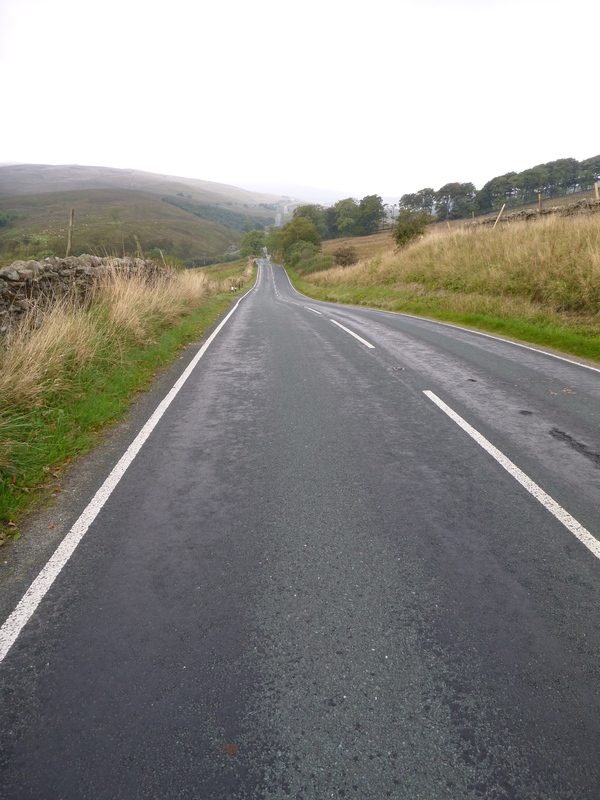 Mind you, even if things have improved, I am an experienced cyclist and I can easily see that the roads are still frightening and off putting to many non-cyclists. If only we could get rid of the parked cars! PS. So the point of my comment above was that the change many of us want to see is perhaps starting. We just need to push the policy and practical commitments to it to be much more radical. At some point there may be a tipping point. At least one hopes that is the case. Thanks very much for your observations and thoughts Martin – they’re much appreciated. I entirely agree with your sense that things have improved, and continue to improve, in London; and yes, the hope is what’s happening there can be sustained, and emulated more widely across Britain. The future of our cities feels more of an open book than has been the case, probably since the early 1970s; and there’s an excitement to that; and whilst cycling now has some key trends (towards liveability & health, and away from the costs and hassles of the car) on its side, we must also be under no illusions that it remains the minority mode pushing up against the car particularly, but also the other more entrenched (and whilst perhaps more sustainable, still oil-based, polluting & in various respects pretty unhealthy) modes. That sounds lovely – an autumn break from Sweden spent in London! Enjoy it. I’m currently applying for term time jobs to regain my free-time. I lost the school holidays in a restructure 2 years ago and do I miss them. I feel like all I do is live to work and I hate it. You really miss your own life when you loose so much of your time. I’d take that 20% pay drop any day to get my free time back. Wish me luck! And I know what you mean about those suits… it’s the Lancashire Cycle Forum on monday, but what is the point of me hauling over to county hall and spending my evening there when pitifully little will come of it. It’s over £10 to get there on the train now, or I drive (which would irritate me), or I have to finish work early to cycle there… it’s a lot of effort or expense for what exactly. Good luck Georgie! I realise I’m privileged to be able (often, not always!) to ride during the week as well as at weekends, but I also think to do so should be less of a privilege than it currently seems, and one which more of us should be fighting for (not only for ourselves, but also for others). In general, we work and consume too much, and cycle too little; and more time on the bike combats both excessive work and consumption! There are important questions about wealth, affluence, quality-of-life etc which cycling can surely ‘speak to’, yet rarely does. So yes, really good luck with your search for a better balance. From what I heard (from a fellow campaigner), the Lancashire Cycle Forum was quite positive; which I think makes a change! Perhaps the County is finally realising the contributions which *ordinary, utility* cycling can/should make? But it’s hard not to become disillusioned, eh?, particularly when any contributions we make must come out of our own pockets and from our own free time. Thanks for reading, and I hope for more cycling for you in the not-too-distant future! I have to go to a lot of seemingly pointless meetings at which I often express radical or what seem to be shocking points of view. I won’t go into details but I know it is good for people to hear from me because I have a unique experience of my particular sector and I am aware that if I do not go into rooms of suits they will never hear my viewpoint. I often come away from these things irritated and frustrated – often also thinking that I might have garnered a bit of dislike – but I do keep going (though not to all of them – as you say, sanity is also important!). I know you express concern about cycling being seen as instrumental and creating “bums on bikes” for essentially capitalist or economically manipulative ends, but I would draw your attention to what Ian says in the first post here: “the experience of being an outgroup member, not something I’d had before”. The fact is, becoming a cyclist (or a person on a bike) is transformative. Yes, eventually we might see a time when the motorist is the outgroup, but even if it weren’t “other”, riding a bike transforms people in many ways, regardless of how they decided to do it. It’s like art – whatever your reason for participating, you will be surprised by what happens to you as a result. I don’t think you can start cycling and not become much more aware as a person (as well as fitter, richer etc). I do know you must hate these Westminster things but I’m afraid I think you have to keep doing it! Come to my office after and I’ll give you cake and a cuppa as encouragement! Gah, not clear enuff: I mean, these suits are potentially creating a load of thinking, aware, questioning, fit, outgroup members without realising it – they are ticking boxes, while the new cyclists are all questioning the System! You’ve lifted me up Rosalind, thank you! Of course, you’re right, and in focusing on the negative I lost sight of the positive (always, always, both!). And now you point it out, it seems obvious (but I wouldn’t have got there by myself). But as I say, I’m glad you and others can be much more mature, businesslike and pragmatic about them. Theoretically I value dialogue, debate, discussion and the exchange of opinions in order to get from ‘here to there’. And I don’t mean to ‘essentialize’ myself (or anyone else) – perhaps I’m just going through an ‘awkward stage’! But your broader point – yes! Cycling’s capacity to change the world has to come out of its capacity to change specific lives; so however we get someone cycling (and in this world that has inevitably often to involve institutions and business meetings) it’s a little victory for enlightenment, a literal ‘lifting to the light’. It’s potentially a slightly romantic? naive? view, but I think it’s also partly why we (certainly I) bang on about cycling – the politicians and bureaucrats might think ‘all’ they’re doing is creating cycle commuters and a more efficient city, but really they’re creating revolutionary subjects and a new society!! Thank you so much for reading, and to some degree ‘rescuing’ me! And watch out, I might take you up on that offer of tea and cake (biscuits, anyway 😉 next time I’m down there, and in need of moral support!